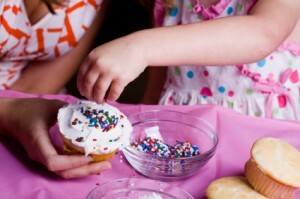 My baking lessons cost vary from €35 to €65 per person, depending on the subject and length. Your own home, anywhere in Cork or Ireland. A touch of Magic Cake Academy, Cork. I will teach you in my own home in Cork. It’s great to Learn baking from a young age, I will teach you step by step how to make lovely French cakes, you can also practice your French at the same time! Contact me for more details. Whether you’re planning an office/team activity, client entertainment, a birthday surprise, a school reunion or even a hen party; whatever the occasion, Group Baking Events with Christine Guirault are a perfect alternative day or evening out. 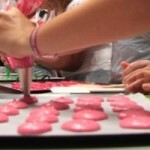 Note: To book a Class with Brennans, please see www.cookshop.ie Classes fill up fast, book now to avoid disappointment!